select *, DATE_FORMAT(birthday, "%b %e, %Y") as _birthday, DATE_FORMAT(died, "%b %e, %Y") as _died, MONTH(birthday) as month_birth, DAY(birthday) as day_birth, DATE_FORMAT(birthday, "%b %e") as _birth_day_month from agatti_people where agatti_people.u_name = "claude-rains"
Shares birthday with Richard Burton, Mabel Normand, Esther Dale see more.. Legendary character actor, Claude Rains, was born William Claude Rains on Nov 10, 1889 in Camberwell, London. Rains appeared in over 75 film and TV roles. Rains died at the age of 77 on May 30, 1967 in Laconia, NH and was laid to rest in Red Hill Cemetery in Moultonborough, Carroll County, NH. 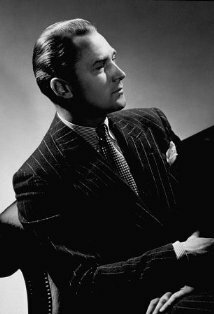 Claude Rains was born William Clause Rains on November 10th, 1889 in London England. 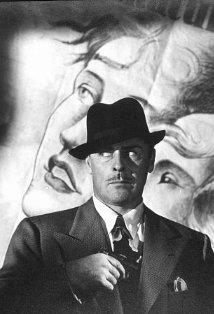 His father, Frederick, worked as a stage and film actor while his mother, Emily, stayed at home to watch over their son. Thanks to a childhood spent in the Camberwell distinct of London, Rains had a strong cockney accent and a bit of a speech impediment. By the time the young Rains was eleven, he had already made the choice to follow his father into acting and made his stage debut in the play Nell of Old Drury. His talent was noticed by the founder of the Royal Academy of Dramatic Art, Sir Herbert Beerbohm Tree, who helped the young actor overcome his cockney accent by offering to pay for the boy's elocution lessons. In order to become well-rounded stage performer, Rains made sure to learn the technical side of the theater by working his way through the ranks, starting as a simple page boy and then rising to the rank of stage manager. With a breadth of knowledge in both the technical and performance end of the theatre, Rains would later teach at the Royal Academy. In 1914, however, Rains took a hiatus from acting in order to serve his country during World War One. He enlisted in the London Scottish Regiment and was stationed alongside fellow actors Basil Rathbone and Ronald Colman. During his service, he was nearly blinded in one-eye due to a gas attack. Although he entered the Army as a private, by the time his tour was over Rains had risen to the command of Captain. After his time in the military was over, Rains returned to acting. He remained in England for a short while, honing in on his craft and gaining success with the titular role in John Drinkwater's Ulysses S. Grant. During this time he also taught at the Royal Academy of the Dramatic Arts where he had pupils such as John Guilgud and Laurence Olivier. In the 1920s Rains decided to give Broadway a chance and headed across the pond to New York City. He soon after made is Broadway debut in the Basil Dean production of The Constant Nymph, playing the part of Robert after the original actor left the play. He remained on the Broadway stage for the next five years, acting in successful production of plays such as Out of the Sea, Karl and Anna, and The Game of Love and Death. In 1932 Rains was invited to do a screentest for Universal Studios. Director James Whale was immediately impressed by the actor's deeply dynamic voice and cast in Rains in his next film The Invisible Man. The film was major success and Rains career immediately took off. Although Universal Studios hoped to typecast him as the mad villains in formulaic horror films such as The Man Who Reclaimed His Head, Mystery of Edwin Drood and The Clairvoyant, Rains soon grew tired of the monotony and when his contract with Universal expired in 1936, he did not renew it. He instead chose to sign with Warner Brothers Studio. Upon moving to Warner Brothers Rains saw an immediate improvement in his role choices. His first role for his new company was as the French Emperor Napoleon Bonaparte in the highly fictional historical drama Hearts Divided. He next starred opposite Olivia de Havilland and Frederic March in Michael Curtiz's Anthony Adverse. He would work with Curtiz again with his next film Stolen Holiday. The pairing with Curtiz was a fruitful one as Rains credits the studio director with teaching the intricacies and differences between film acting and theatre acting. 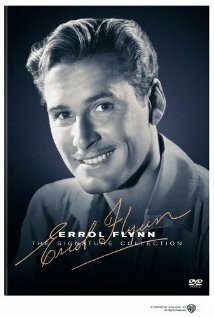 In 1937 he worked with Errol Flynn for the first time in the big screen adaptation of The Prince and the Pauper. The next year Rains would once work with Curtiz, Flynn, and de Havilland in the swashbuckling film The Adventures of Robin Hood as the villainous Prince John who hopes to usurp the throne in his brothers' absence. The film was not only the studios first three-strip Technicolor film but something of a generally extravagance for Warner Brothers as it had build it's reputation lower cost gangster films. 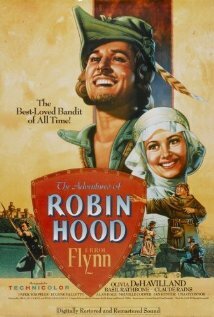 The risk was well rewarded as Robin Hood was one of the years best reviewed films and second highest grossing film of the year. The next year Rains would play the role for which he is most associated. In 1939 Rains co-starred in the Frank Capra political comedy Mr. Smith Goes to Washington. In the film he plays the highly esteemed and morally tortured Senator Joseph Paine, who secretly has fallen in with the wolves of Congress, thus becoming as corrupt as Boss Tweed. The film went on to be one of the most successful of the year, winning over the hearts of critics and audiences through all walks of life. And garnered eleven Academy Award nominations including Best Picture, Best Director, Best Actor, and Best Supporting Actor for Claude Rains. Rains also had another crowning achievement that year: becoming an American Citizen. As Rains continued his career into the new decade, he reached a very unique ilk of fame: A-list stardom while playing mostly supporting parts. This is exemplified by his 1940 collaboration with Michael Curtiz and Errol Flynn in yet another swashbuckling hit, The Sea Hawk. 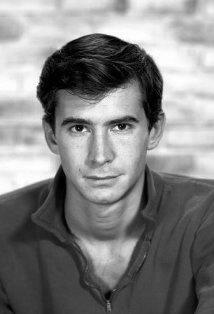 The next year he played his hand at comedy in the romantic fantasy Here Comes Mr. Jordan. In the film Rains played the titular role, a celestial being that gives a boxer a second chance at life. In 1942 Rains starred opposite Bette Davis and Paul Henreid in the hit romance Now, Voyager. He worked with Henreid again that year, this opposite Humphrey Bogart and Ingrid Bergman in yet another classic romance, Casablanca. In what is perhaps his most memorable performance, Rains played the equals parts corrupt, charming but ultimately good-natured Captain Louis Renault. With lines like "Round up with usual suspect," the film not only garnered the actor yet another Oscar nomination but also solidified his place in the halls of film and pop culture history. 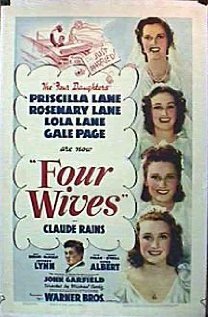 In 1944 Rains starred opposite Bette Davis in the American drama Mr. Skeffington. 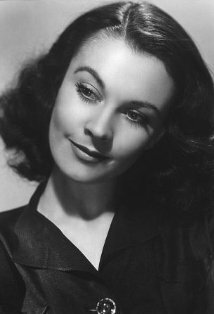 In the film Rains played the titular character of Job Skefflington, a Jewish banker in a loveless marriage to beautiful but entirely self-centered woman played by Davis. For his efforts, Rains was nominated for his third Best Supporting Actor Oscar nomination. The next year Claude made film history by being the first actor to request and receive a million-dollar salary for the role of Julius Caesar the high budget adaptation of Shaw's Caesar and Cleopatra. Despite it's massive budget and great expectations, the film was a flop. Rains quickly recovered with Alfred Hitchcock's 1946 thriller Notorious opposite Cary Grant and Ingrid Bergman. 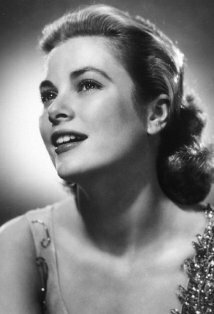 In the film Rains played the clandestinely malignant leader of Nazi ring living in Brazil, Alexander Sebastian, married to a reluctant American spy played by Ingrid Bergman. For his efforts, he received his forth and final Academy Award nomination. The next year he starred in final Michael Curtiz film, the crime thriller The Unsuspected. As the decade came to an end, Rain's film career began to slow. Although he continued to appear in films such as The Passionate Friends, Rope of Sand, The Paris Express, they simply did not measure to the caliber of his earlier roles. So, by the mid-1950s Rains decided to give new growing medium of television a try. His venture proved successful, making memorable appearances on series such as Kraft Theatre, Te Alcoa Hour, and The Pied Pier of Hamelin, the latter in which featured his only time sing and dancing on camera. He also appeared periodically on Alfred Hitchcock Present, appearing almost every year during the series six-year run. While seen mostly on the small screen, Rains was still called upon as a character actor in such films as Libson, The Earth is Mine, and The Lost World. 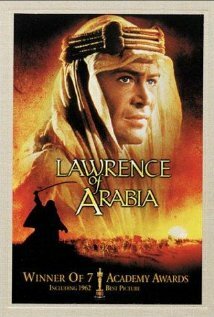 His crowing accomplishment of the decade came in 1962, when he played a sly English Diplomat, Mr. Dryden, in the David Lean biographical epic Lawrence of Arabia. His final big screen role came just three later as King Herod in the George Stevens biblical epic The Greatest Story Ever Told. In 1965 Rains gave his final performance on the Bob Hope Presents the Chrysler Theatre for television. After retiring from the motion business Rains moved east to spend his final years in quiet retirement in Sandwich, New Hampshire. Claude Rains died on May 30th, 1967 of a stomach hemorrhage. He was 77 years old. Although Rains was nominated for four Oscars, he never won a competitive Academy Award. The Invisible Man: [his last words] I knew you'd come for me, Flora. I wanted to come back to you... my darling. I failed. I meddled in things that man must leave alone. Jackson Bentley: Is Major Lawrence in there? Is he in trouble? Mr. Dryden: I would suspect so. We all have troubles. Life is a vale of troubles. The Invisible Man: We'll begin with a reign of terror, a few murders here and there, murders of great men, murders of little men, just to show we make no distinction. He never attended a premiere. His first wife, Isabel Jeans, always wore a wig because her natural hair was so thin. Rains was almost blind in one eye due to injury received in a gas attack during WWI.